Are you looking to replace worn-out carpet in one room or throughout your entire home? Whatever your wishes, shop our carpet store to find the carpeting that best suits your needs in looks, performance, and price. We offer an array of textures and hues so you find the perfect combination that suits your lifestyle. Our flooring specialists also provide professional carpet installation to ensure the longevity of your investment. In addition, when you shop at our store, rest assured that your purchase is covered by the industry’s best warranties, allowing you to shop with confidence. With so many options to choose from and our unparalleled excellence in customer service, there is no reason to shop anywhere else. You want quality carpeting that lasts; that is why our carpet store supplies only the most durable carpets available on the market. Choose from many options that include eco-friendly Tigressá™ carpet, modern Stainmaster™, and expertly woven Berber carpet blends, as well as strong frieze and plush saxony textures. Allow our flooring specialists to make your floor shopping easy and convenient. We offer you as much guidance as you choose, from selection to installation. You can trust us to provide the superior customer service that is the hallmark of our store. Whatever your plans may be, our in-store associates are available to make the process a smooth, hassle-free experience for you. Tigressá: Soft Style, Cherish, and H20 - Known for plush, soft carpet, Tigressá made its name producing carpets with ultra-fine fibers made from recyclable materials. This brand is ideal for shoppers looking to incorporate sustainable designs into their project. Choose from the pet and child friendly, and waterproof H2O imprints to save time on maintenance; Cherish, which offers buyers a seemingly endless array of color and design options; or Soft Style, the perfect balance of beauty and durability. Resista and Soft Style - Food, beverages, and pet stains are no match for the performance of a Resista carpet. Designed with the busy household in mind, Resista carpets offer stain resistance that is second to none, making this brand the smart choice for families. With Resista's 10-year, no-exclusion stain warranty and our Ultimate Confidence Guarantee, rest assured that your investment is well protected in all circumstances. We offer colors ranging from warm browns and greens inspired by nature, to neutral tan shades to vibrant reds and rich blues. There is a perfect color for every vision, so let us help you select the one that suits your tastes. To further enhance the ambiance of any room, select a pattern that makes a statement. Opt for a diamond trellis, tone-on-tone, flecked, or carved pattern for a bold new look that garners the attention of visiting friends and family. Aside from an abundance of carpet flooring options, the associates at our carpet store consistently deliver professional carpet installation, which is as important as the process of selecting the right floors. 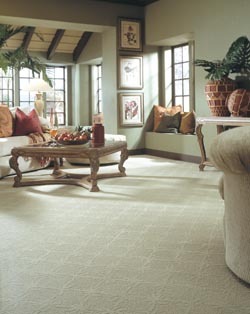 We offer free measurements and arrange a convenient time for carpet installation at your home. The main mission of our store is to ensure your 100 percent satisfaction. That is why we back every completed installation with the Ultimate Confidence Guarantee. If you are dissatisfied with any aspect of your new flooring within 30 days of the initial install, we replace it with a comparable product at no cost to you. With an impressive inventory, reasonable carpet prices, and unsurpassed customer care, we are the ultimate source for your carpet flooring needs. Put an end to your search for the perfect carpet. Contact us for the best deals on carpeting. We're proud to serve customers throughout Webster, Clear Lake, Houston, Nassau Bay, Sea Brook, Texas, plus the surrounding areas.